Have YOU met our Cuddle Monsters yet??? All original...All made by hand...all ADORABLE! 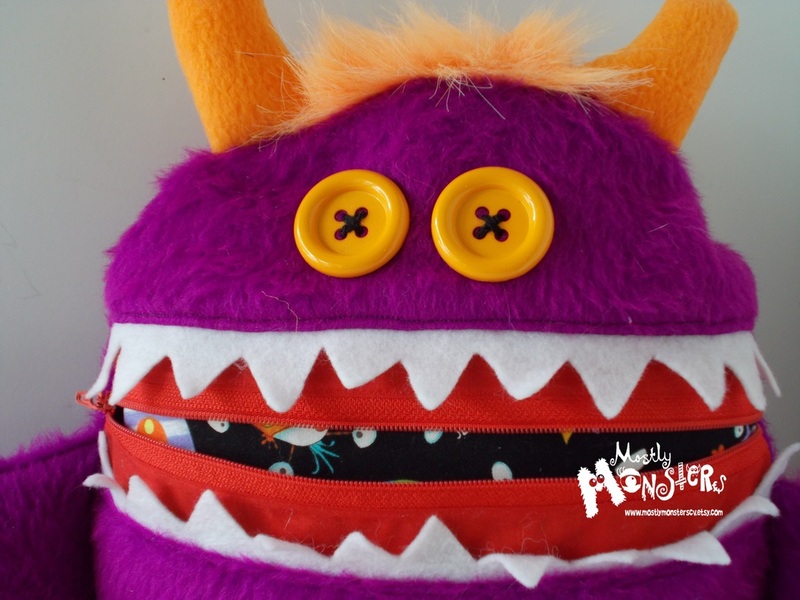 Our "Cuddle Monster" pillows love to gobble up your pajamas, your remote control, your book, your treasure...whatever you'd like to keep safe! When you sleep at night, they will act as your special friend who will keep away the bad dreams and boogie monsters. not-so-squeaky clean pajamas and hold them for you all day, while you play or go to school. Then they wait patiently for you on your bed or in a chair. After the day is over, your Cuddle Monster will be here waiting for you...holding your pajamas (or other treasure) until it's time to go to bed! 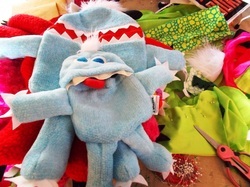 GIANT Cuddle Monsters measure roughly 20 inches high when sitting, or 28 inches when standing. Medium Cuddle Monsters measure roughly 12 inches from rear to crown when sitting, or 20 inches when standing (horns and hair not included in measurements). Their hugs are roughly 23 inches from fingertip (um, claw-tip?) to fingertip. 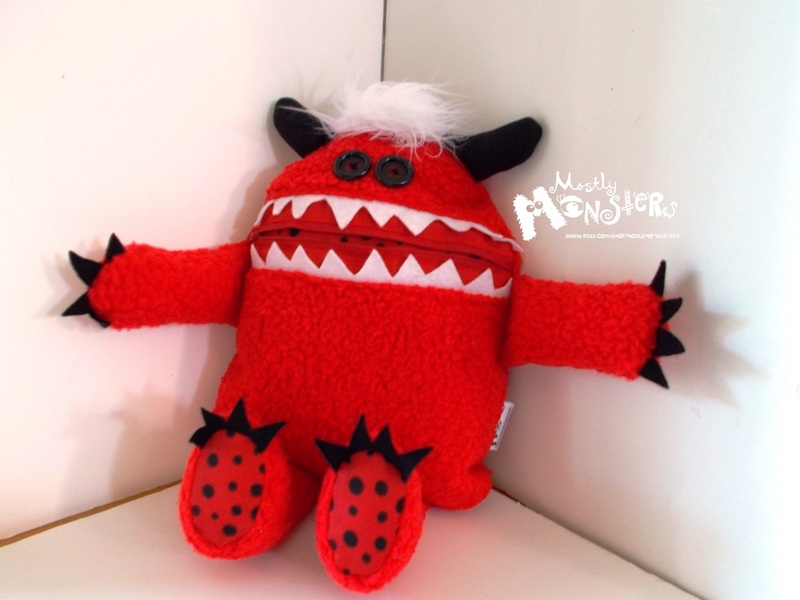 "Mini" Cuddle Monsters aren't so mini....about the size of your favorite, huggable stuffed animal with enough space to fit a kid's pair of pj's inside. While there are some similar items for sale elsewhere, our monsters are made using our OWN hand-drawn patterns, and cannot be duplicated, making each truly one-of-a-kind! 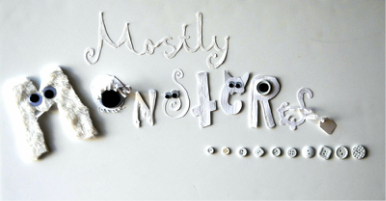 Want a custom-designed monster of your own? Message us with the size you'd like, color, hair, horns, etc. and we'll work with you at no extra charge! They tend to sell out quickly, so you can find even MORE at our in-person shows. ​AND we happily create custom cuddlers on request!